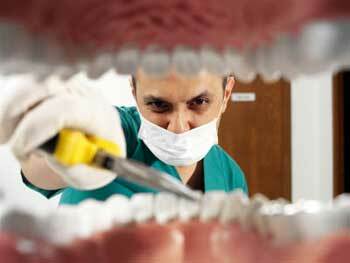 If you feel a sense of fear and anxiety when visiting the dentist, you are not alone. It’s estimated that three out of every four people in the United States have a fear of going to the dentist, and it’s no wonder. Most of our irrational fears stem from childhood experiences, a time when medical practices were still rudimentary and most of us were told by our parents that there was nothing to be afraid of. But if our parents were so brave, how come so many of us never saw them going! The truth is simply that dentists used to be a scary place, but aren’t any longer. Dentists have been the beneficiary of many medical advancements that make procedures less painful and much faster than before. Add to that the fact that dentists are now aware of the sensual stimuli that evokes so much anxiety in their patients and you can see how finding a Staten Island dentist that specializes in eliminating fear can be so refreshing. Now, there’s a specialist in Staten Island; a dentist who understands how the smell of rubber surgical gloves and anesthetics, the sight of the white lab coat and the entire feel of your average dental office can incite anxiety in a patient. Even the word patient can be enough to set people off! The old vision of a dentist as a cold figure who imparts pain on people has now been eliminated. Dr. Mariana Savel, DDS has created the first dental practice of its kind in the dental industry. Taking a page out of the alternative medical approach which is currently applied to the most advanced general medicine practitioners, Dr. Mariana Savel, DDS has revolutionized the dental world forever. By placing the emphasis on the patient’s state of mind, her innovative approach to dentistry has brought a new look at traditional practices. By putting the body at ease through a manipulation of the senses, Dr. Mariana Savel, DDS has managed to provide the most effective way for relieving tension, anxiety and fear. People who visit her office often come in with a fear of dentists, but leave with the reassurance that their oral health has just changed forever. This is because many people only wait for dental emergencies before visiting the dentist. Now, they can enjoy the preventative services and treatments that allow them to visit the dentist on a regular basis: their fear is cured forever. But perhaps the best news comes in the research that backs Dr. Mariana’s practice, showing that relaxation techniques such as music, aroma therapy and meditation increase recovery rates. This means that if you’re looking for a Staten Island dentist that will alleviate your fear and help you get your oral health back on track with as little interruption to your schedule as possible, Dr. Mariana is the only choice. In addition to the typical cleanings, x-rays, fluoride treatments and routine cavity fillings, Dr. Mariana Savel, DDS also provides a number of other services that make visiting any other Staten Island dentist unnecessary. Her no-waiting policy and state of the art equipment provide the most stress-free and relaxing atmosphere you will ever find. And should you require a specialist, Dr. Mariana Savel, DDS connections and associations with some of the most gentle and professional specialists in the New York City and Tri-State area will place you in the right hands. Porcelain and mercury free fillings: Using composite resin, your cavities will be filled quickly, painlessly and not be noticeable to anyone but yourself. Root canal therapy: Using the most advanced techniques to save a tooth which is infected or almost beyond repair, Dr. Mariana Savel, DDS gently removes the nerve before cleaning and sealing your tooth. Bonding: Used to repair chipped or fractured teeth or to bridge spaces between two teeth, bonding is a painless procedure with immediate results. 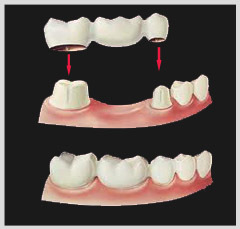 Bridges and Crowns: Fully customized bridges and crowns replace a missing tooth or a section of a tooth. This is used to restore your natural smile as quickly and as gently as possible. Periodontal Treatment: Cleaning below the gum line helps you eliminate tartar and calculus which damages the teeth through the root. This procedure provides healthier gums and teeth and will cut down on cavities and future visits to the dentist. Bleaching and Teeth Whitening: A safe, effective and painless method to getting a brighter smile, Dr. Mariana Savel, DDS helps you get your smile back in the comfort of your own home. « Dr. Mariana Savel, DDS has been recognized as one of the top Staten Island Dentistry practices. Your opinions matter to us. Your feedback is highly appreciated.